Christopher Heise, Ph.D., Associate Director, Genentech, and Peter Smith, Ph.D., Scientist, Genentech, on developing effective new compounds for attacking Gram-negative bacteria. 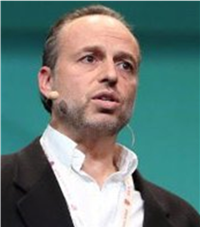 Yochi Slonim, Founder and CEO, Anima Biotech, on modulating the production of proteins to treat disease. Misti Ushio, Ph.D., Chief Executive Officer, TARA Biosystems, on engineering mature cardiac tissue for high-throughput applications. Mike Romanos, Ph.D., Co-founder and Chief Executive Officer, Microbiotica Limited, on characterizing the microbiome to create bacteria as therapeutics. Yasuhiko Idaka, Representative Director, Yakushin Co., Ltd., on how pharmaceutical companies should compete in the rapidly changing Japanese market. 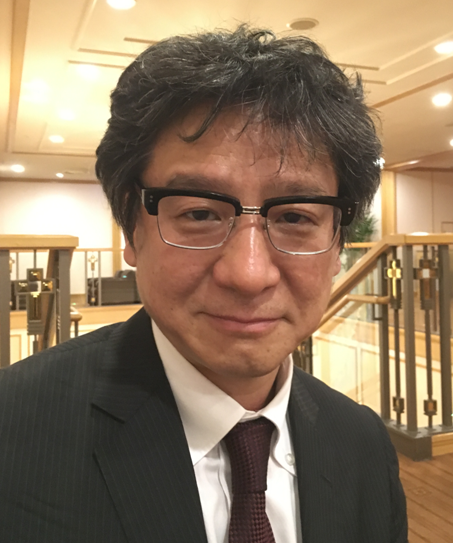 Takuya Takahashi, M.D., Professor, Department of Physiology, Yokohama City University, on discovering compounds promoting plastic change in the brain. 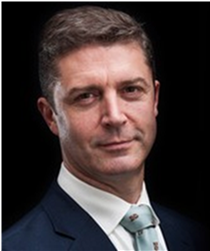 Peter Kirk, Chief Executive Officer, SERMO, on a platform for doctors to share knowledge with each other. Paul Wotton, Ph.D., Chief Executive Officer, Sigilon Therapeutics, on implanting encapsulated cells to treat chronic diseases. Art Krieg, M.D., Founder and CEO, Checkmate Pharmaceuticals, on synergistic therapy to enhance responses to checkpoint inhibitors. Wendy S. Rubinstein, M.D., Ph.D., Deputy Medical Director, CancerLinQ LLC, on learning from real-world data to improve cancer care. 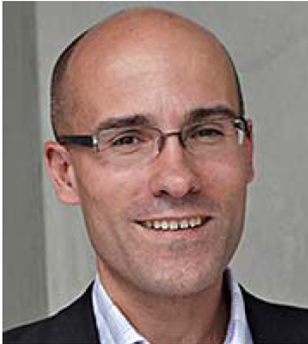 Bernat Olle, Ph.D., Chief Executive Officer, Vedanta Biosciences, Inc., on modulating the microbiome with consortia of bacteria to treat disease. 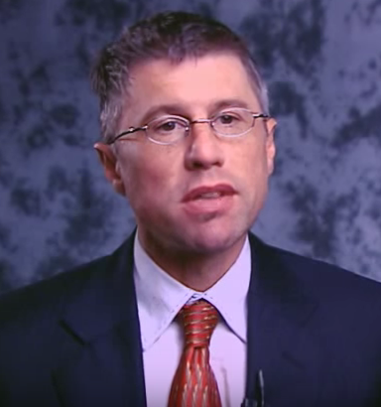 Edward Giniger, Ph.D., Senior Investigator, National Institute of Neurological Disorders and Stroke, on premature aging in neurodegenerative diseases. 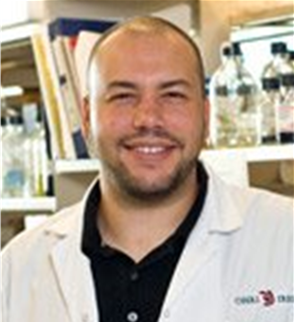 Jean-Simon Diallo, Ph.D., Scientist, Centre for Innovative Cancer Research, Ottawa Hospital Research Institute, on inhibiting NF-κB to enhance the effectiveness of oncolytic viral therapy. Thomas G. Evans, M.D., Chief Executive Officer, Vaccitech Limited, on developing a universal influenza vaccine. Steve Carchedi, Chief Executive Officer, Apexian Pharmaceuticals, Inc., on targeting tumors while protecting neurons. 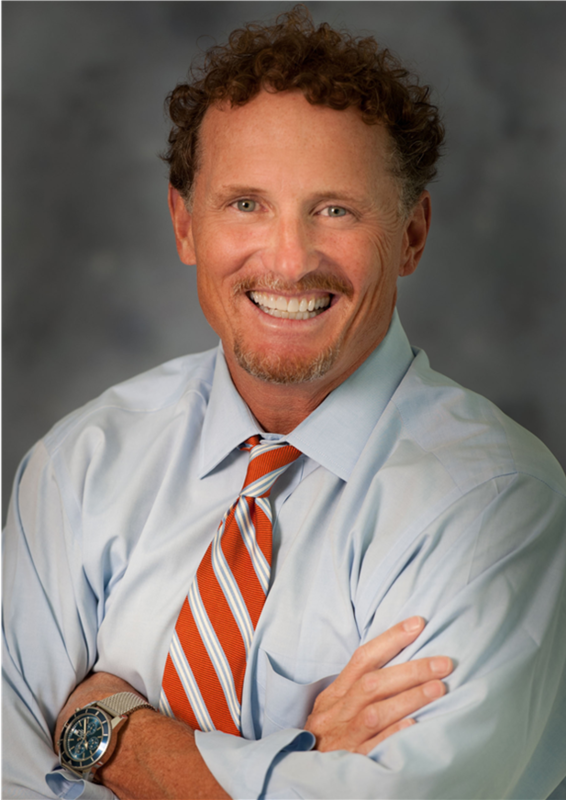 Scott Koenig, M.D., Ph.D., President and CEO, MacroGenics, Inc., on dampening B cell activation without depleting B cells. Masahisa Ikeda, Shearman & Sterling, on people as the key to the global expansion of Japanese companies. David Kita, Ph.D., Co-Founder and Vice President of R&D, Verseon Corporation, on modeling a more diverse chemical space for drug discovery. Alice Zhang, Chief Executive Officer and Co-founder, Verge Genomics, on an integrated approach to accelerate drug discovery. Kevin Outterson, Executive Director, CARB-X, on accelerating R&D in new antibiotics. Lucas Nivon, Ph.D., Chief Executive Officer, Cyrus Biotechnology, Inc., on bringing the power of Rosetta to a broad base of users. John Sullivan-Bolyai, M.D., Chief Medical Officer, ContraVir Pharmaceuticals, Inc., on developing combination treatments for the hepatitis B virus. Sean F. Brady, Ph. 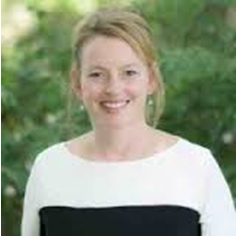 D., Evnin Associate Professor and Head, Laboratory of Genetically Encoded Small Molecules, Rockefeller University, on exploring potential interactions between the microbiome and human cells. Vishwanath R. Lingappa, M.D., Ph.D., Chief Executive Officer, Prosetta Biosciences, Inc., on targeting aberrant assembly machines. Robert C. Doebele, M.D., Ph.D., Associate Professor, University of Colorado Anschutz Medical Campus, on using depth of initial treatment response as an indicator of outcomes. 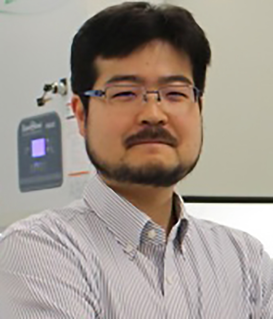 Junken Aoki, Pharm.D., Professor of Molecular and Cellular Biochemistry, Tohoku University Graduate School of Pharmaceutical Sciences, on Structural insights into ligand recognition by the lysophosphatidic acid receptor LPA6. 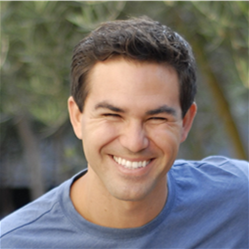 Ryan Sysko, CEO and Founder, Amalgam Rx, Inc., on delivering better health outcomes with apps. 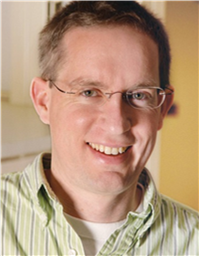 Mark Swindells, Ph.D., Chief Operating Officer, Exscientia, Ltd., on automating drug design. Amy Schulman, Co-Founder and Chief Executive Officer, and Jessica Ballinger, Vice President of Reimbursement and Strategic Alliances, Lyndra, Inc., on moving from daily dosing to weekly dosing and beyond. 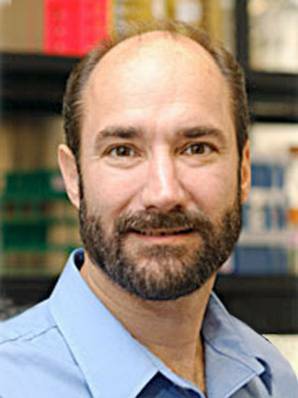 David Merryman, Ph.D., Associate Professor of Biomedical Engineering, Pharmacology, Medicine, and Pediatrics, and Associate Chair of Biomedical Engineering, Vanderbilt University, on blocking cadherin-11 as a potential treatment for calcific aortic valve disease. 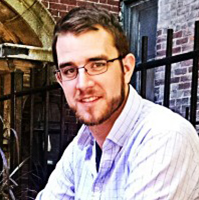 Noah Craft, MD, PhD, DTMH, Co-Founder and CEO, Science 37, on bringing clinical trials to the homes of patients. 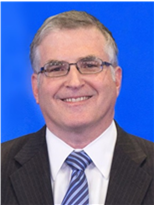 Michael Levin, Ph.D., Professor, Vannevar Bush Chair, and Director, Allen Discovery Center at Tufts University, and Tufts Center for Regenerative and Developmental Biology, on treating atopic dermatitis through autografts of benign bacteria. Robert McNeil, Ph.D., Chief Executive Officer, and Donald M. Black, M.D., Chief Medical Officer, DalCor Pharmaceuticals, on exploring the limits of brain plasticity. 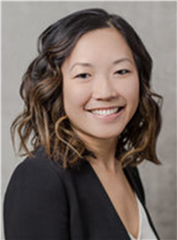 Teruaki Nakatsuji, Ph.D., Project Scientist, Department of Dermatology, UC San Diego School of Medicine, on treating atopic dermatitis through autografts of benign bacteria. Milton H. Werner, Ph.D., Founder, President, and CEO, Inhibikase Therapeutics, on developing a disease modifying treatment for Parkinson’s disease. 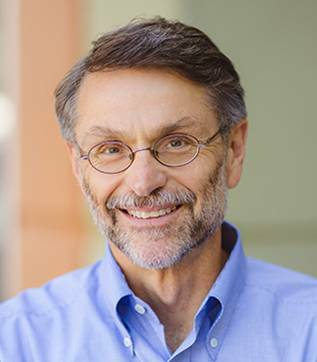 Michael Snyder, Ph.D., Stanford W. Ascherman Professor and Chair, Department of Genetics, and Director, Center for Genomics and Personalized Medicine, Stanford University School of Medicine, on bringing wearable devices into clinical use. 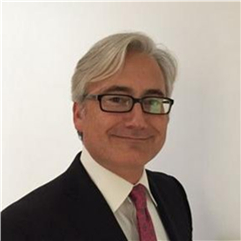 Pierre Beauparlant, Ph.D., Chief Business Officer, Diazon Pharmaceuticals Inc., on developing a potent microtubule-targeting agent with less toxicity. 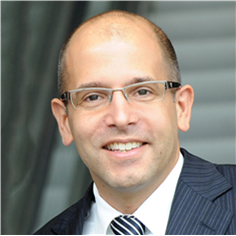 Michael Hooven, President and CEO, Enable Injections, Inc., on improving the way biologics are delivered. 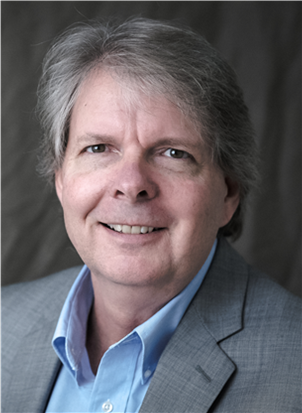 Jay Yourist, Ph.D., President & Chief Executive Officer, Nuovo Biologics LLC, on developing treatments for animals, and possibly humans. Tim Errington, Ph.D., Metascience Manager, Center for Open Science, on the difficulties of reproducing research results. Stanley Kim, Co-founder and CEO, WinSanTor, Inc., on restoring sensory fibers in peripheral neuropathy. Keith Murphy, Chairman and Chief Executive Officer, Organovo Holdings, Inc., on engineering human tissues for pharmaceutical screening. Catharina Boehme. M.D., Chief Executive Officer, Foundation for Innovative New Diagnostics, on developing diagnostics for poverty-related diseases. Geoff MacKay, President and CEO, AvroBio, Inc., on quickly bringing novel gene therapies into the clinic. Ted Yednock, Ph.D., Chief Scientific Officer, and Douglas Love, President and CEO, Annexon Biosciences, on targeting the complement pathway in neurodegenerative diseases. 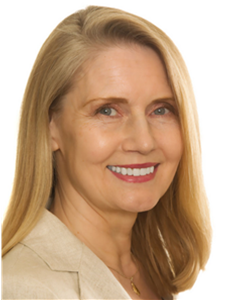 Linda Summerton, Ph.D., CEO, Immodulon Therapeutics Ltd., on triggering the immune system to fight cancer with mycobacteria. 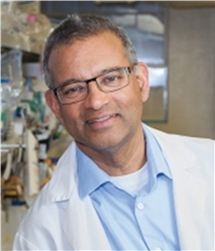 Aftab Ansari, Ph.D., Professor, Department of Pathology and Laboratory Medicine, Emory University School of Medicine, and Research Professor, Yerkes National Primate Research Center, on opening the potential for sustained control of HIV infection. Jack W. Reich, Ph.D., CEO and Co-founder, Renova Therapeutics, on gene therapy to normalize heart function in heart failure patients. 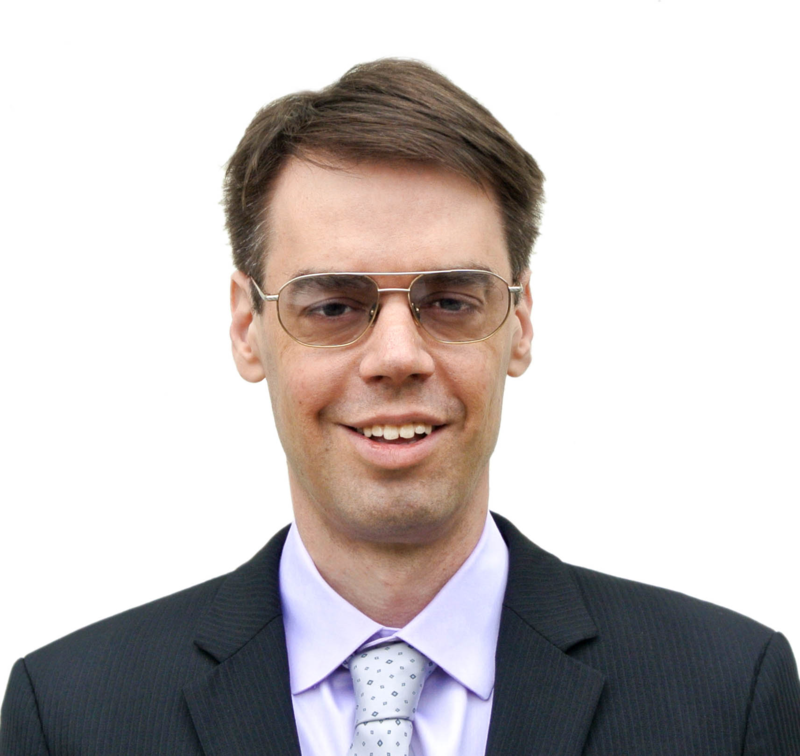 Alex Haahr Gouliaev, Ph.D., Co-founder and Chief Executive Officer, Nuevolution AB, on efficiently identifying small-molecule drug candidates for difficult targets. Sylvain Martel, Ph.D., Professor and Director, NanoRobotics Laboratory, Department of Computer and Software Engineering, Institute of Biomedical Engingeering, Polytechnique, on delivering drugs to the optimal location inside tumors. Sau (Larry) Lee, Ph.D., Deputy Director (Acting), Office of Testing and Research, Office of Pharmaceutical Quality (OPQ), Center for Drug Evaluation and Research, FDA, on encouraging industry adoption of continuous manufacturing. Gergely Tóth, Ph.D., M.B.A., Founder and Chief Executive Officer, and Thomas Sawyer, Ph.D., M.B.A., Chief Operations Officer, Cantabio Pharmaceuticals Inc., on pursuing novel treatment strategies for neurodegenerative diseases. Andrew M. Radin, Chief Business Officer & Co-Founder, TwoXAR, on using predictive algorithms to identify novel drug candidates. 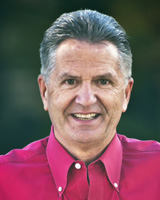 Jack A. Syage, Ph.D., CEO and Co-founder, ImmunogenX, on developing a treatment and diagnostic tools for celiac disease. 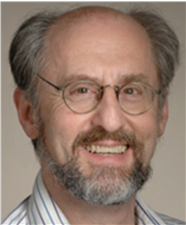 Dane M. Chetkovich, M.D., Ph.D., Professor of Neurology and Physiology, Northwestern University Feinberg School of Medicine, on a new potential drug target for the treatment of depression. Christian Tidona, Ph.D., Managing Director, BioMed X Innovation Center, on creating innovative research teams to collaborate with industry. 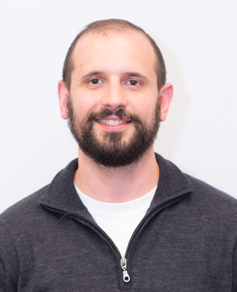 Anthony J. Filiano, Ph.D., Postdoctoral Researcher, Center for Brain Immunology and Glia, School of Medicine, University of Virginia, on uncovering the connections between the immune system, brain circuits, and behavior. Bharatt Chowrira, Ph.D., J.D., President, Synlogic, on developing programmable probiotics as a novel class of therapeutics. 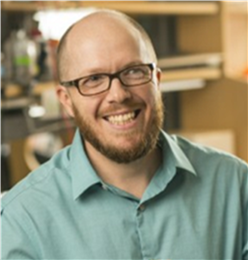 Layton Smith, Ph.D., Assistant Professor and Director, Florida Drug Discovery, the Florida Translational Research Program at the Sanford Burnham Prebys Medical Discovery Institute, on advancing the frontiers of academic drug discovery. Charles Swanton, FRCP, Ph.D., Group Leader, the Francis Crick Institute, on understanding tumor evolution to develop better treatment strategies. Jean-François Mouney, CEO and Chairman, GENFIT, on positioning Elafibranor as a first-line treatment in NASH. Joseph S. Beckman, Ph.D., Principal Investigator and Burgess and Elizabeth Jamieson Chair in Healthspan Research, Linus Pauling Institute, Distinguished Professor, Department of Biochemistry and Biophysics, and Director, Environmental Health Sciences Center, Oregon State University, on preclinical breakthroughs in ALS now heading into the clinic. 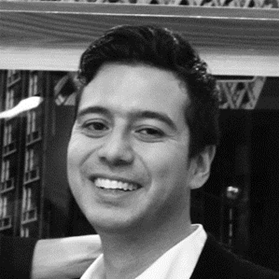 Pablo Graiver, Founder and CEO, TrialReach, on making it easy for patients to connect to clinical trials. Guoping Feng, Ph.D., Investigator, McGovern Institute for Brain Research, and Poitras Professor of Neuroscience, MIT, and Director, Model Systems and Neurobiology, Stanley Center for Psychiatric Research at the Broad Institute, on uncovering the mechanisms underlying autism spectrom disorder. 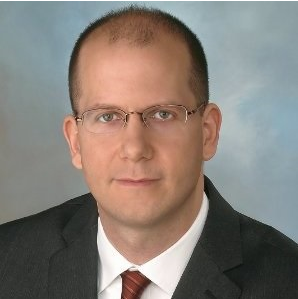 Robert Masella, Partner, Shearman & Sterling, on the outlook for M&A activity. 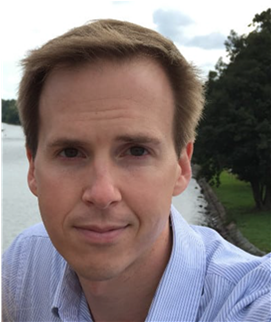 William Flavahan, Ph.D., Postdoctoral Fellow, Massachusetts General Hospital and Harvard Medical School, on new insights into oncogene activation in IDH mutant gliomas. 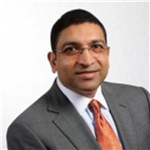 Niven R. Narain, Co-Founder, President & Chief Executive Officer, Berg LLC, on integrating big data to drive drug discovery and development. Apkar Vania Apkarian, Ph.D., Professor of Physiology, Northwestern University Feinberg School of Medicine, on reversing the remodeling of the brain associated with chronic pain. Jon Palfreman, Ph.D., author of Brain Storms, on tracking research developments in Parkinson’s, now as a patient. 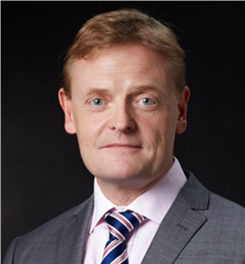 David Fellows, Chief Executive Officer and Board Member, NightstaRx Ltd., on developing gene therapies for inherited retinal dystrophies. Dallas E. Hughes, Ph.D., President, NovoBiotic Pharmaceuticals, LLC, on developing a platform for discovering new classes of antibiotics. Minoru Takasato, Ph.D., Senior Researcher at the Murdoch Childrens Research Institute, on creating a kidney organoid that contains all human kidney cell types. 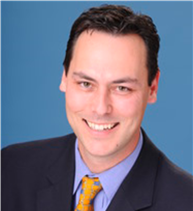 Joseph S. McCracken, D.V.M., Vice President of Business Development, Alkahest, Inc., on using young plasma to treat Alzheimer’s disease. 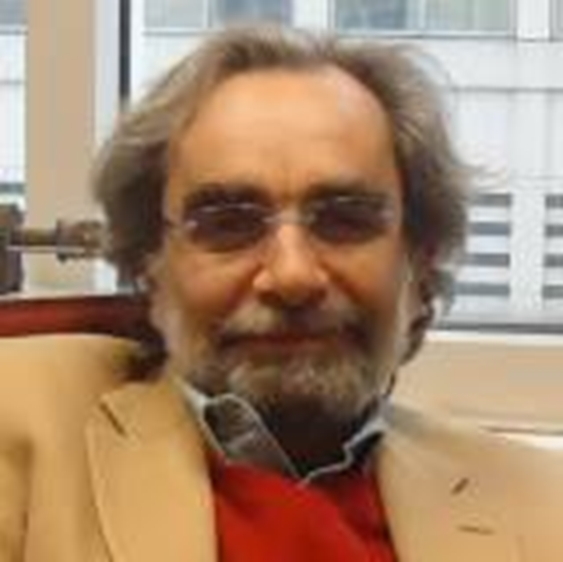 Jeffrey S. Mogil, Ph.D., E.P. 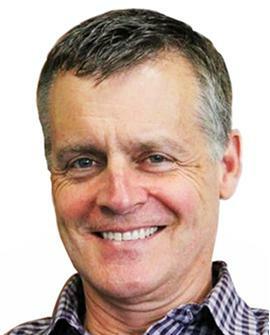 Taylor Professor of Pain Studies and Canada Research Chair in Genetics of Pain (Tier I) at McGill University, on the increasing placebo response over time in US clinical trials of neuropathic pain. Margarita Behrens, Ph.D., Staff Scientist, Salk Institute for Biological Studies, on the role of mGluR5 in the development of parvalbumin-positive interneurons and neurodevelopmental disorders. Kang Zhang, M.D., Ph.D., Professor of Ophthalmology and Chief of Ophthalmic Genetics, University of California, San Diego, on reversing cataracts with lanosterol. Thomas West, Project Director and Manager of Intellectual Property, Aprecia Pharmaceuticals Company, on a novel formulation to improve adherence for those with difficulty swallowing pills. Nathalie Donne, Director of Corporate Communication & Business Development, DBV Technologies, on meeting unmet needs in severe food allergies. Greg Duncan, President and Chief Executive Officer, Celtaxsys, Inc., on downregulating the neutrophil response in inflammatory disorders. Alexis C. Wallace, Co-founder, President, and Chief Executive Officer, Thrombolytic Science International, LLC, on extending the treatment window for stroke with greater safety. 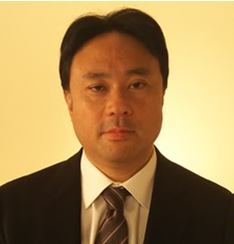 Tsuyoshi Inoue, PharmD, Associate Professor, Graduate School of Medicine, Dentistry and Pharmaceutical Sciences, Okayama University, on developing epilepsy treatment targeting the LDH metabolic enzyme. Luis A. Diaz, Jr., M.D., Associate Professor of Oncology, Johns Hopkins Sidney Kimmel Comprehensive Cancer Center, on mismatch repair deficiency and response to PD-1 inhibitors. Ted J. Kaptchuk, Professor of Medicine, Harvard Medical School, on investigating the genetic components of the placebo effect. Pascale Malgouyres, Pharm D, MSc, Chief Commercial Officer and Co-Founder, Poxel SA, on developing a pipeline of novel treatments for type 2 diabetes. Charles Magness, Ph.D., President and CEO, Kineta, Inc., on building a more efficient model of early-stage drug development. Andrew Vaillant, Ph.D., Chief Scientific Officer, RepliCor, on developing new treatments for Hepatitis B focused on subvirus particles. Konrad Glund, Ph.D., Co-founder and CEO, Probiodrug AG, on moving from research discovery to clinical development in Alzheimer’s disease. Raúl Insa, M.D., Ph.D., Founder & CEO, SOM Biotech SL, on screening existing drugs for new indications. William Moore., Ph.D., President and CEO, Innocrin Pharmaceuticals, Inc., on developing a new class of CYP17 lyase inhibitors. 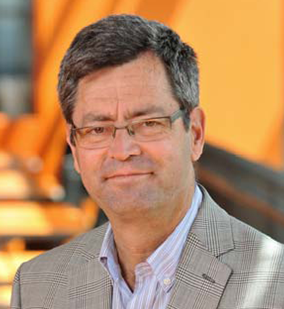 Jos Joore, Ph.D., Co-founder and Chief Business Officer, Mimetas B.V., on building high-throughput organs-on-chips. Rudolph E. Tanzi, Ph.D., Joseph P. and Rose F. Kennedy Professor of Neurology, Harvard Medical School, and Director, Genetics and Aging Research Unit, Massachusetts General Hospital, and Doo Yeon Kim, Ph.D., Assistant Professor of Neurology, Harvard Medical School, and Assistant in Neurology, Genetics and Aging Research Unit, Massachusetts General Hospital, on a new and better preclinical model of Alzheimer’s disease. 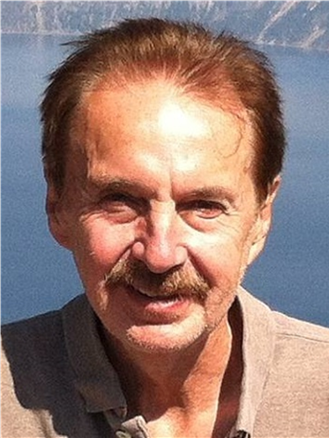 Alexey Terskikh, Ph.D., Associate Professor, Sanford-Burnham Medical Research Institute, on developing a treatment to regrow hair. Ali Tehrani, Ph.D., President & Chief Executive Officer, Zymeworks Inc., on demonstrating success with bispecific antibodies. Todd C. Brady, M.D., Ph.D., President and CEO, Aldeyra Therapeutics, Inc., on an aldehyde trap to treat inflammatory and other diseases. Brian M. Culley, Chief Executive Officer, Mast Therapeutics, Inc., on developing vepoloxamer for sickle cell disease and other indications. Cedric Francois, M.D., Ph.D., Co-founder & Chief Executive Officer, Apellis Pharmaceuticals, Inc., on being in the clinic with complement immunotherapy. Norikazu Eiki, Former Chairman, Bayer Yakuhin, on breaking through the status quo with revolutionary business models. 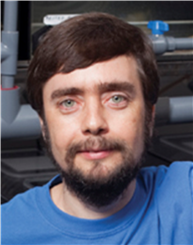 Alexander Green, Ph.D., Assistant Professor, Department of Chemistry & Biochemistry, Arizona State University, on the design and application of toehold switches. Keith Blackwell, M.D., Ph.D., Associate Research Director, Joslin Diabetes Center, Professor, Department of Genetics, Harvard Medical School, and Faculty Member, Harvard Stem Cell Institute, on identifying biomarkers of longevity. 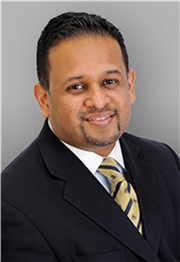 Saad A. Naseer, M.D., President and CEO, The Jack and J.T Snow Scientific Research Foundation, on developing a potential treatment for Wolfram syndrome. 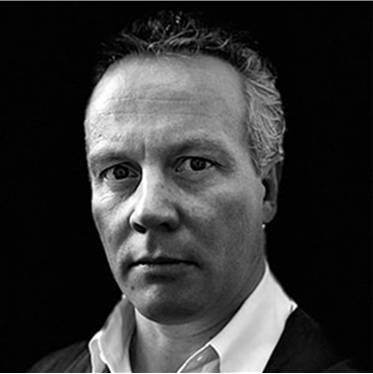 Dendy Young, Chairman, Co-Founder and CEO, Perthera, on building an expert system for personalized cancer treatment. Holly Trautman, PharmD, MS, Co-founder, Aventine Consulting, LLC, on getting reimbursement dossiers right. 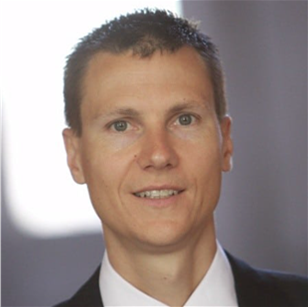 Christoph Lengauer, Ph.D., Chief Scientific Officer, Blueprint Medicines, on building a pipeline of novel kinase inhibitors. 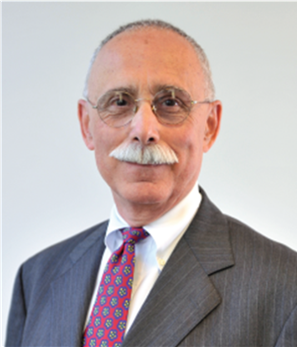 Richard A. Bendis, President and CEO, BioHealth Innovation, Inc., on building a more vibrant life sciences cluster in Maryland. 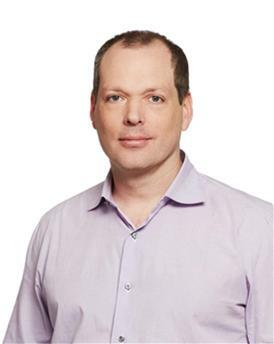 Johan Pontin, CEO, Beryllium, on making an impact in drug discovery. Julia P. Gregory, Chief Executive Officer, ContraFect Corporation, on developing novel approaches for treating infectious diseases. Jeffrey Stein, Ph.D., President and CEO, Cidara Therapeutics, Inc., on addressing unmet needs in infectious diseases. R.J. Tesi, M.D., President and CEO, FPRT Bio, on targeting neuroinflammation with a selective TNF inhibitor. Dario C. Altieri, Executive Vice President, The Wistar Institute, Director and Chief Scientific Officer, The Wistar Cancer Center, and Robert and Penny Fox Distinguished Professor of Cancer Biology, on unraveling the role of TRAP-1 in cell metabolism and tumor biology. Paul J. Lombroso, M.D., Elizabeth Mears and House Jameson Professor in the Child Study Center, Professor of Neurobiology and of Psychiatry, and Director of the Laboratory of Molecular Neurobiology, Yale University School of Medicine, on inhibiting STEP as a potential treatment for Alzheimer’s Disease. Bruce M. Spiegelman, Ph.D., Stanley J. Korsmeyer Professor of Cell Biology and Medicine, Department of Cell Biology, Harvard Medical School, and Professor, Cancer Biology, Dana-Farber Cancer Institute, on prospects for a potential treatment for cancer cachexia by using tumour-derived parathyroid-hormone-related proteins. Eiji Yoshihara, Ph.D., Salk Institute for Biological Studies, on the significance of the institute’s research in the development of recombinant fibroblast growth factor 1 for the effective treatment of Type 2 Diabetes. 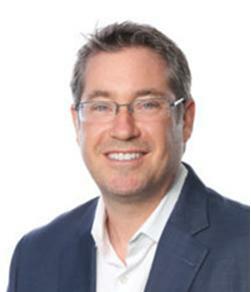 Jon Meyer, Principal and Co-founder, Life Science Strategy Group, LLC, on launching the new OutsourcePharma Advisory Board, an anonymized social networking site that provides crowd-sourced reviews of the services of CROs for contract research outsourcing professionals at pharmaceutical companies. Allan Bradley, Ph.D., Founder and Chief Technical Officer, Kymab Limited, on his company’s Kymouse transgenic antibody platform, development programs for fully human monoclonal drugs, and partnering strategy. Rahul Aras, Ph.D., President and Chief Executive Officer, Juventas Therapeutics, Inc., on developing a pipeline of therapies focused on the treatment of heart failure, and his company’s lead development program and partnering strategy. Steve Orndorff, Ph.D., President and CEO, MicroBiome Therapuetics, LLC, on his company’s clinical development programs and approach to developing prebiotics to alter the microbiome in the treatment of a variety of diseases. Jennifer Doudna, Ph.D., Professor, Molecular and Cell Biology Department and Chemistry Department, University of California, Berkeley, Investigator, Howard Hughes Medical Institute, and Faculty Scientist, Lawrence Berkeley National Laboratory, on current research and potential future applications of the CRISPR-Cas system. Jianghong Rao, Ph.D., Associate Professor of Radiology, School of Medicine, Stanford University, on using a nanoparticle that can detect reactive oxygen species and reactive nitrogen species in vivo that could lead to improved methods for liver toxicity testing of drugs. Shivaani Kummar, M.D., Head, Developmental Therapeutics Clinic, National Cancer Institute, on the clinical trial Molecular Profiling based Assignment of Cancer Therapeutics (M-PACT), which determines whether selecting therapies based on genetic mutations can improve outcomes in patients with metastatic sold tumors. Mark Kessel, Co-founder, Symphony Capital, on employing a new structure for financing drug development. 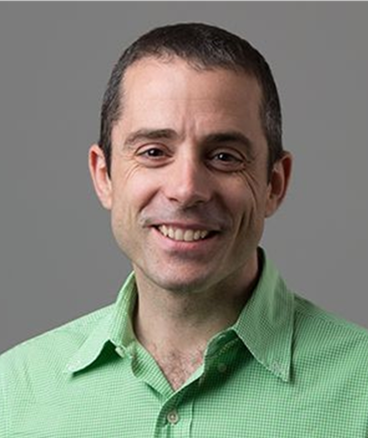 Adam Gazzaley, M.D., Ph.D., Associate Professor of Neurology, UCSF School of Medicine, on developing a video game to assess and improve cognitive performance. Lyndon Lien, Ph.D., President and CEO of Balance Therapeutics, Inc., on reducing inhibitory signaling as an approach to improving cognitive performance in Down syndrome. 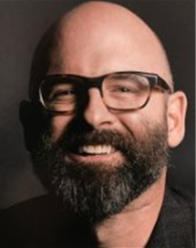 John O’Rourke, Vice President of Marketing, Decisyon, Inc., on bringing together people and data to make and execute decisions. 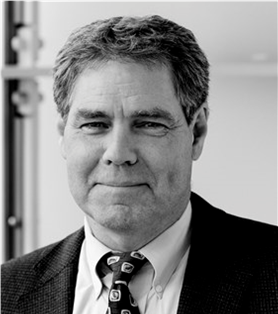 Craig M. Crews, Ph.D., Founder and Chief Scientific Advisor of Arvinas, Inc., and Professor, Yale University, using novel platforms to develop small molecules that can induce the degradation of disease-causing proteins. 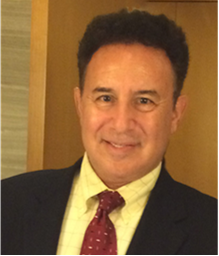 Warren Hosseinion, M.D., CEO of Apollo Medical Holdings, Inc., partnering to improve patient care in COPD. Michael Conn, Ph.D., Senior Vice President for Research, Associate Provost and Professor of Internal Medicine and Cell Biology, Texas Tech University Health Sciences Center, on using pharmacoperones to fix misfolded proteins. Yukinori Okada M.D., Ph.D., tenure-track lecturer at Tokyo Medical and Dental University, Department of Human Genetics and Disease Diversity, on seeking new possibilities of genome drug development. Warner C. Greene, M.D., Ph.D., Director, Gladstone Institute of Virology and Immunology, on finding a new potential pathway for HIV treatment. 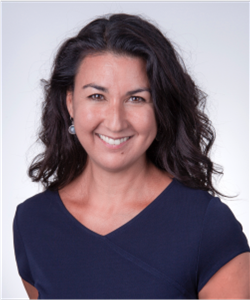 Magali Haas, M.D., Ph.D., M.S.E., Founder and CEO of Orion Bionetworks, on using big data for disease modeling in multiple sclerosis. Edwin Moses, Ph. D., Chairman and CEO of Ablynx, on developing novel proteins based on single-domain antibodies. Laura Shawver, Ph.D., CEO of Cleave Biosciences, on discovering and developing small molecules for targets in protein degradation pathways for cancer treatment. Sakhrat Khizroev, Ph.D., Professor and Vice Chair, Department of Immunology, College of Medicine, and Director, Center for Personalized Nanomedicine, Florida International University, on opening new horizons in medicine with magneto-electric nanoparticles. Dan Paterson, Chief Business Officer and Brian Sullivan, Corporate Development Director, Verastem, Inc., on selectively targeting cancer stem cells. Nancy Simonian, M.D., CEO of Syros Pharmaceuticals, on using super-enhancers to identify the genes driving disease and then developing drugs that inhibit or disrupt those targets. 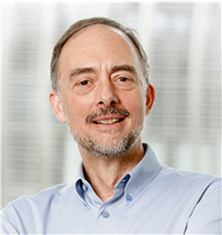 Michel Sadelain, M.D., Ph.D., Director, Center for Cell Engineering and Gene Transfer and Gene Expression Laboratory, Memorial Sloan-Kettering Cancer Center, on opening new horizons for cancer immunotherapy. Derek A. Small, President and CEO and Joseph R. Moskal, Founder and Chief Scientific Officer of Nuarex Inc., on modulating the NMDA receptor for treatment of depression and other CSN disorders. 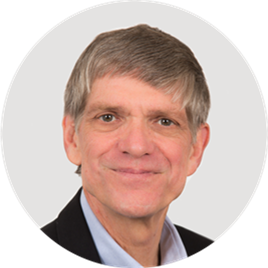 Malcom Weir, Ph.D., Co-founder and CEO of Heptares Therapeutics, on targeting G protein-coupled receptors for Alzheimer’s Disease. Professor of University of Texas Southwestern Medical School and Tsukuba University, on developing orexin receptor agonist in the field of medicinal chemistry. Alain D. Baron, M.D., President and CEO, Elcelyx Therapeutics, on how their delayed release formulation of metformin, works. Jae Chung, Founder and CEO, goBalto Inc., on goBalto’s Tracker 2.0 cloud-based solution and the clinical study startup process. Paul L. Hallenbeck, Ph.D., President and CEO, Synbody Biotechnology Inc., on the company’s synbody platform and partnering strategy. John Holland, Senior Vice President, Business Development and Research, AMC Health, on using remote monitoring in clinical trials and how the FDA is viewing such innovations in trial design. Sapan Shah, Ph.D. President and Chief Executive Officer, ARMGO Pharma Inc., on the target mechanism in the company’s pipeline of novel compounds that utilize a defect in intracellular calcium regulation, and also on the company’s partnering strategy. Pamela Tenaerts, MD, MBA, Executive Director, The Clinical Trials Transformation Initiative (CTTI), on the company’s activities in identifying practices that will increase the quality and efficiency of clinical trials. 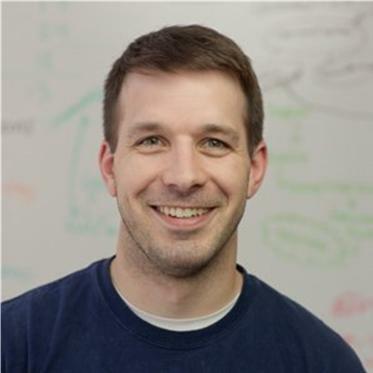 Nathan Caffo, President, Presage Biosciences, on the company’s proprietary drug array platform for simultaneously analyzing multiple cancer drug candidates within a single living tumor, and how pharmaceutical companies can use it to screen candidate compounds. John A. Latham, Ph.D., Chief Scientific Officer, and Mark J. Litton, Ph.D., MBA, Chief Business Officer and Treasurer, Alder Biopharmaceuticals, Inc, on the company’s development strategy for novel antibody therapeutics as a treatment for migraines. James J. Collins, Ph.D., Co-founder, and Jeffrey D. Wager, M.D., Chairman, President and CEO, EnBiotix, Inc., on the company’s technology and partnering strategy for its novel anti-bacterial platforms. 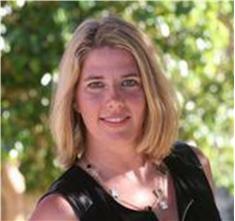 Destry Sulkes, M.D., Executive Vice President and Co-founder, Medivo Inc,. on the company’s services and how pharmaceutical companies can use them to deliver targeted communications to patients and doctors. Garret A. FitzGerald, M.D., Chair, Department of Pharmacology, and Director of the Institute for Translational Medicine and Therapeutics, Perelman School of Medicine, University of Pennsylvania, on his group’s research on molecular clocks in the regulation of biologic systems. 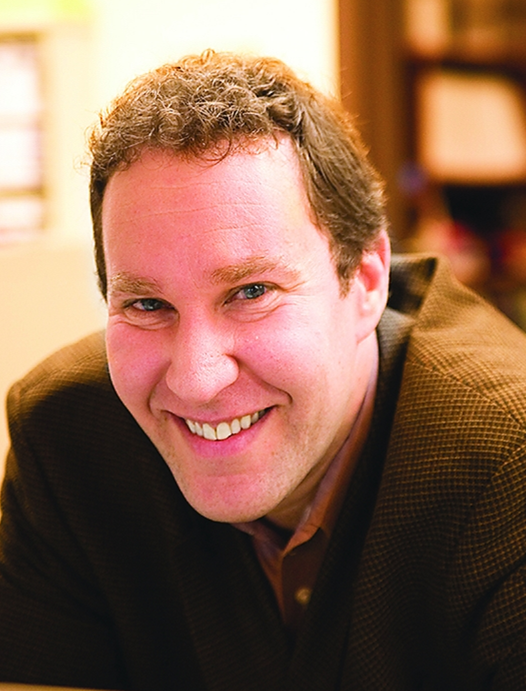 Jonathan Kil, M.D., Chief Medical Officer and Director, Sound Pharmaceuticals, Inc., on SPI’s development programs aiming to prevent and reverse hearing loss. Thomas Kassberg, Chief Business Officer and Senior Vice President, Ultragenyx Pharmaceutical, on the company’s pipeline and strategy for developing treatments for rare and ultra-rare metabolic genetic disorders. Swati S. More, Ph.D, Research Associate, Center for Drug Design, University of Minnesota, on her findings from a study together with Professor Robert Vince, Ph.D., in which they found that a synthetic cofactor of glyoxalase was able to prevent neurodegeneration in a mouse model of Alzheimer’s disease. René Bernards, Ph.D., Division Head, Molecular Carcinogenesis, The Netherlands Cancer Institute, on his research findings for a pathway that appears to confer resistance to a variety of cancer drugs. Christopher A. Kroeger, M.D., President and CEO, Cardioxyl Pharmaceuticals, Inc, on the advantages of nitroxyl donors and the company’s development programs. Michael Jirousek, Ph.D., Co-founder and Chief Scientific Officer, Catabasis Pharmaceuticals, on the company’s lead program in developing a pipeline focused on the treatment of inflammatory and metabolic diseases by employing its proprietary “linker” technology. 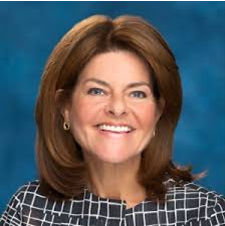 D. Lynn Kirkpatrick, Ph.D., President and CEO, Ensysce Biosciences Inc., on the company’s technology and development programs for using single walled carbon nanotubes to deliver short interfering RNA (siRNA) for therapeutic applications in oncology. Elizabeth Iorns Ph.D., Co-Founder & CEO, Science Exchange, on the concept behind and goals for the company’s Reproducibility Initiative, a program designed to help scientists validate studies for publication or commercialization. 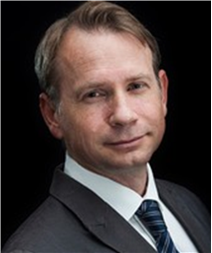 Julian Bertschinger, Ph.D., Co-founder and Chief Executive Officer, Covagen AG, on the company’s technology platform for creatibng next-generation protein drugs, known as Fynomers, and its partnering strategy. 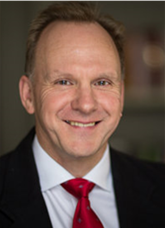 Christopher Anzalone, Ph.D., President and CEO, Arrowhead Research Corporation, on the company’s newly-acquired library of homing peptides and the company’s development programs. 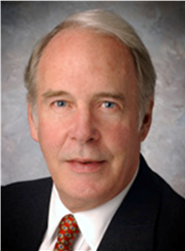 Joseph F. Clark, Ph.D., Professor of Neurology, University of Cincinnati, on about his research findings in cyclocreatine as a treatment for creatine transporter deficiency, and the pathway ahead for clinical development of a treatment for the disease. David Kaplan, Ph.D., Stern Family Professor of Engineering, Professor and Chair, Department of Biomedical Engineering, Tufts University, on his research into the properties of silk and its biomedical applications. 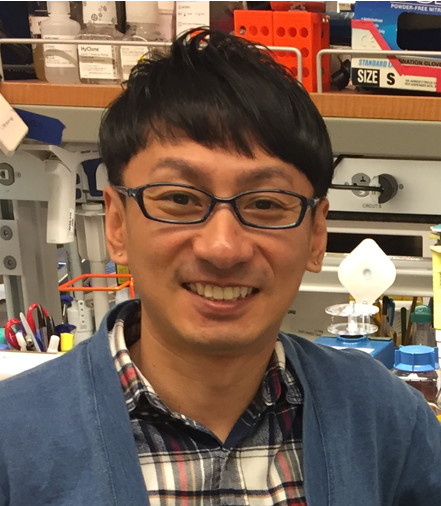 Fumihiko Urano, M.D., Ph.D., Associate Professor, School of Medicine, Washington University, on his research into how thioredoxin-interacting protein (TXIP) molecules are linked to both ER stress and the production of IL-1β cytokine proteins within beta cells. Werner Lanthaler, Ph.D., Chief Executive Officer, Evotec AG, on the company’s strengths in drug discovery and approach to partnering. 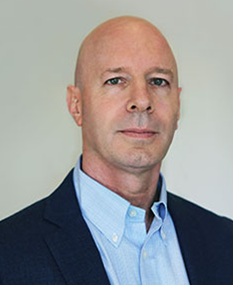 Michael Clayman, MD, Chief Executive Officer and Co-founder, Flexion Therapeutics, on the company’s strategic focus, the status of its development programs, and its partnering strategy. 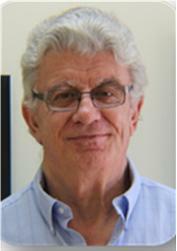 Berislav V. Zlokovic, M.D., Ph.D., Professor and Chair, Department of Physiology & Biophysics, and Director, Center for Neurodegeneration & Regeneration, Zilkha Neurogenetic Institute, Keck School of Medicine of USC on his research into the role of APOE4 in breakdowns in the blood-brain barrier. Rangaramanujam M. Kannan, Ph.D., Professor of Ophthalmology, Center for Nanomedicine/Wilmer Eye Institute, Johns Hopkins University School of Medicine, on results from his study on dendrimers for targeted treatment of neuroinflammation. Mark Bard, Co-Founder and Director, the Digital Health Coalition, on how pharmaceutical companies are using social media. 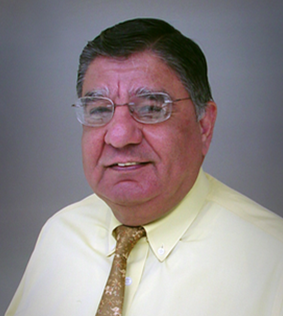 Nicholas P. Tatonetti, Ph.D. Candidate in Biomedical Informatics, Stanford University, on his research into an approach for controlling bias when performing data mining on an observational dataset of drug adverse events. Anthony Goldbloom, Founder and CEO, Kaggle Inc., on the company’s business model and how it helps companies and institutions find new ways of analyzing data. Christian Zahnd, Ph.D., CEO, and Patrick Amstutz, Ph.D., Chief Business Officer, Molecular Partners AG, on the company’s pipeline for developing a novel class of protein therapeutics called DARPins, and its partnering strategy. Guido Lanza, President and CEO, Numerate, Inc., on the company’s approach to its in silico drug design, and its partnering model. Professor Akira Sawa, Director, Silvio O. Conte Neuroscience Research Center, Johns Hopkins Schizophrenia Center, on the center’s research into onset mechanisms for schizophrenia, focusing on both environmental and hereditary factors. 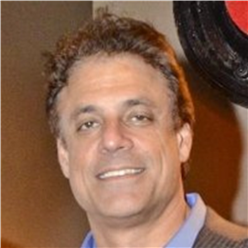 Mason Tenaglia, Founder and Managing Director, The Amundsen Group, on the benefits of copay support programs for patients and manufacturers, and efforts to restrict the use of such programs. Paul M. Gilbert, Co-Founder and CEO, and Michael J. Detke, MD, PhD, Chief Medical Officer, MedAvante, Inc., on the company’s approach to bringing greater standardization to patient assessments in CNS clinical trials through the use of centralized raters, and its activities. 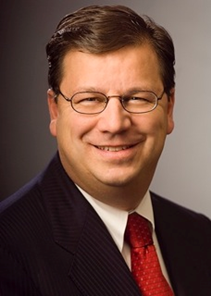 George G. Montgomery, Managing Director, Sagent Advisors, on M&A trends in the biopharma sector. Hisataka Kobayashi, M.D., Ph.D., National Cancer Institute, Molecular Imaging Program, on research into photoimmunotherapy, and its future outlook as a new treatment for cancer. Bertrand C. Liang, M.D., Ph.D., M.B.A., Chief Executive Officer, Pfenex Inc., on the company’s unique protein expression platform that utilizes the microorganism Pseudomonas fluorescens in a high-throughput process for rapidly identifying high-quality protein production strains, and its partnering strategy. 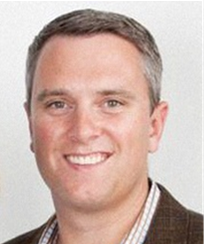 Brian Overstreet, Co-founder and President, AdverseEvents, Inc., on the company’s database of adverse drug events reported the FDA, and its buisness model. Marcus Wilson, Pharm.D., President and Co-Founder of the HealthCore Unit of WellPoint, Inc., on the company’s major collaboration with AstraZeneca, and its activities. Daniel Conners, Chairman and President, Biothera Pharmaceutical Group, on the company’s development programs and partnering strategy. 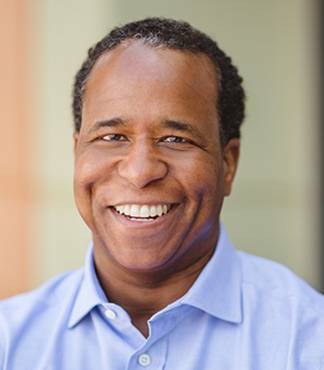 P. Ron Ellis, Co-Founder, President, and CEO, Endocyte, Inc., on the company’s technology platform for a pipeline of small molecule drug conjugates for treating cancer as well as inflammatory diseases, its development programs, and its partnering strategy. 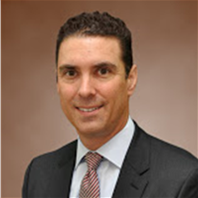 Richard A. Basile, CEO, BioPontis Alliance, LLC, on the company’s model and plans. David H. Kirn, M.D., Founder, President and CEO, Jennerex Biotherapeutics, Inc., on targeted oncolytic virus products for cancer, and the company’s lead compound, JX-594. Mark Pruzanski, M.D., Founder, President and CEO, Intercept Pharmaceuticals, Inc., on the company’s focus and partnering strategy. Atul Butte, M.D., Ph.D., Division Chief and Associate Professor in Pediatrics (Systems Medicine), Medicine and Pediatrics, Stanford University School of Medicine, on his research into how expression data could be used to find new indications for existing drugs, and a new company he has founded for commercial applications of the technology. Ramy Farid, Ph.D., President, and Shi-Yi Liu, Ph.D., Senior Vice President for Marketing, Schrödinger, LLC, on the company’s activities and its subsidiary in Japan. 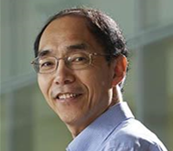 Shinichi Takeda M.D., Ph.D., Director, Translational Medical Center, National Center of Neurology and Psychology, on both the therapeutic potential of exon-skipping therapy for Duchenne muscular dystrophy and its continued doctoral research. 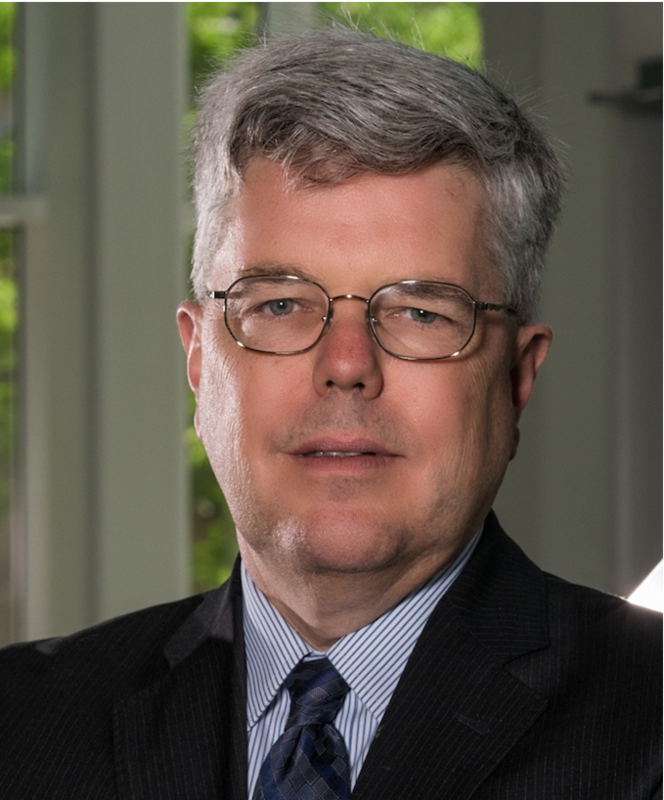 Anthony McKinney, President, CEO and Co-Founder, Euthymics Bioscience, on the company’s development programs for novel medicines for major depressive disorder and ADHD, and its partnering strategy. Gordon H. Busenbark, Senior Vice President and Chief Financial Officer, Inspiration Biopharmaceuticals, Inc. on the company’s development programs for a pipeline of treatments for hemophilia, and the structure of its partnership with Ipse. Anthony Costello, Chief Operating Officer, Mytrus, Inc. on the company’s approach for enabling patients to participate in clinical trials from the convenience of their own homes, and the benefits for patients and pharmaceutical companies. Philip E. Bourne, Ph.D., Professor, Skaggs School of Pharmacy and Pharmaceutical Sciences, University of California, San Diego on his findings and research approach to modeling the effects of a drug’s interactions with multiple receptors. 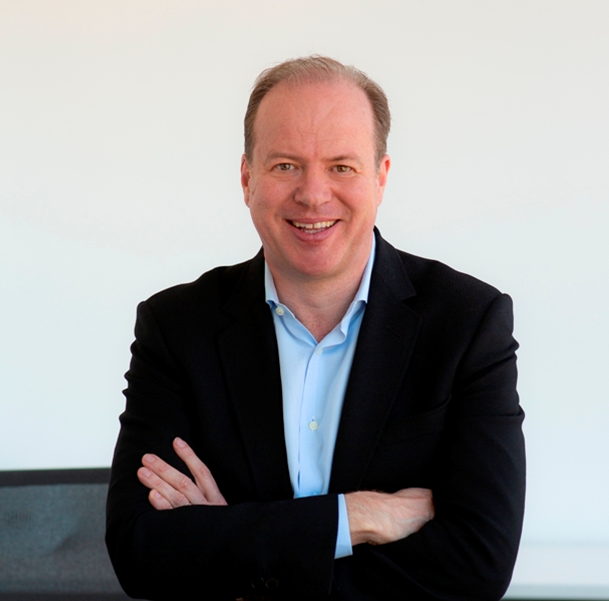 Chip Clark, President and Chief Executive Officer, Genocea Biosciences, on the company’s vaccine technology platform, pipeline, and its partnering strategy. 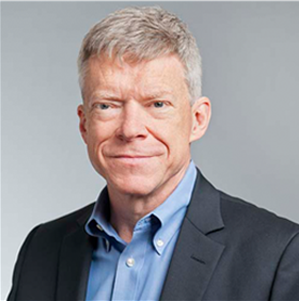 William J. Newell, CEO, Sutro Biopharma, Inc., on the company’s biochemical protein synthesis technology platform and its partnering strategy. 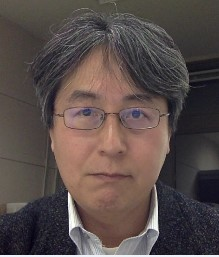 Toru Hosoda, M.D., Ph.D., Associate Professor, Department of Medicine, National Institute of Science and Technology, Tokai University, on the first successful identification of stem cells from a human lung. 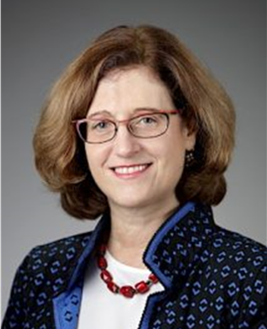 Katherine S. Bowdish, Ph.D., Chief Executive Officer, Anaphore, Inc. on the company’s Atrimer platform, in-house development initiatives, and its partnering strategy. 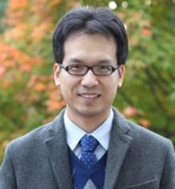 Shinichi Yachida, M.D., Ph.D., Research Associate, Department of Gastrointestinal Surgery, Kagawa University Hospital, on clarifying the genetic evolution and metastatic mechanisms of pancreatic cancer through genome analysis. Alan S. Klein, Executive Vice President, Corporate Development, Sequella Inc., on the company’s new antibiotic mechanism for treating TB and helicobacter pylori. Derek Chalmers, Ph.D., President and CEO, Cara Therapeutics, Inc., on the company’s development of a new analgesic without CNS Side Effects. Scott Johnson, President and Founder, Myelin Repair Foundation, on how the company is pioneering a new model for drug discovery and developing a new approach to treating multiple sclerosis. President and CEO, Celladon Corporation, on a genetically-targeted enzyme replacement therapy for treating heart failure.